Her father's dead, her boyfriend's ditched her to commit himself more fully to surfing, and her mother's depressed because she can't get cast on The Real Housewives of Orange County. All Magnolia wants is to reinvent herself. Half his family is in jail, the other half probably should be, he shoplifted his way into a job at a record store, and his brother pawned his 1953 Telecaster for a quick buck. All Ford wants is to reinvent himself. When the two teens are cast in Spotlight, a reality TV singing competition, both see it as their chance to start anew. With each episode, as they live together in a Hollywood Hills mansion and sing their hearts out, Ford and Magnolia fall in love. But how genuine can that love be when a television audience is watching their every move—and when their pasts are catching up to them so much faster than they can run? 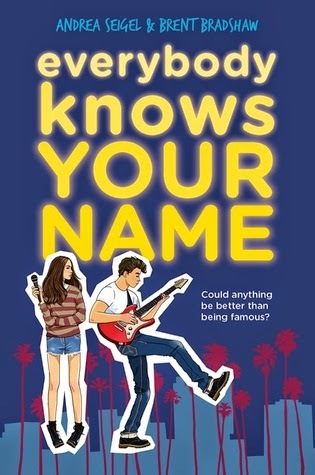 Perfect for fans of Pitch Perfect, and Nick and Norah's Infinite Playlist, Mindy Kaling, and Meg Cabot, Everybody Knows Your Name is a romantic comedy that delivers an unforgettable cast of characters (and way more laughs than any episode of American Idol). Author Question: What is your favorite thing about Everybody Knows Your Name? I'm tempted to say that my favorite thing is that I got to write about introversion. That I got to use my character, Magnolia, to explain why I need to be alone after I've spent time in a group, why social situations tire me out. That was really satisfying in some deep-rooted way. But as much as I hate to admit it, I think my favorite part of the book is one that I didn't write. It's in Brent's part. I don't want to give any spoilers, but there's a passage toward the very end of the book that has Brent's character, Ford, discussing dying towns intertwined with his interpretation of the song "In The New Year" by The Walkmen. And I find those couple of pages exceptionally beautiful. 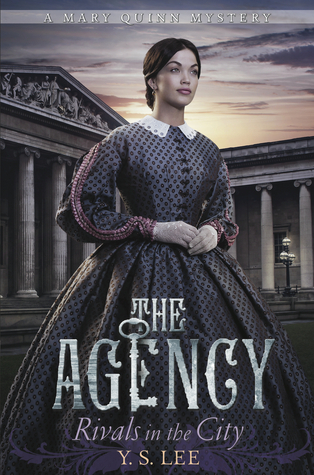 Critically acclaimed author of The Ashes Trilogy, Ilsa J. Bick takes her new Dark Passages series to an alternative Victorian London where Emma Lindsay continues to wade through blurred realities now that she has lost everything: her way, her reality, her friends. In this London, Emma will find alternative versions of her friends from the White Space and even Arthur Conan Doyle. 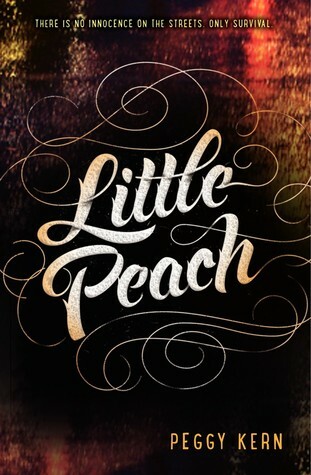 Emma Lindsay finds herself with nowhere to go, no place to call home. Her friends are dead. 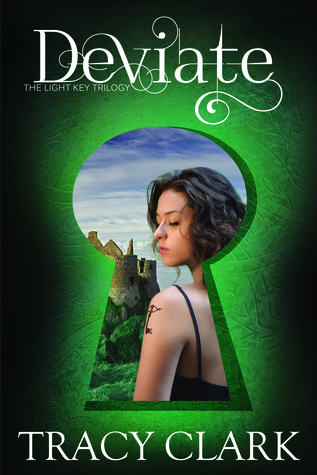 Eric, the perfect boy she wrote into being, and his brother, Casey, are lost to the Dark Passages. With no way of knowing where she belongs, she commands the cynosure, a beacon and lens that allows for safe passage between the Many Worlds, to put her where she might find her friends—find Eric—again. 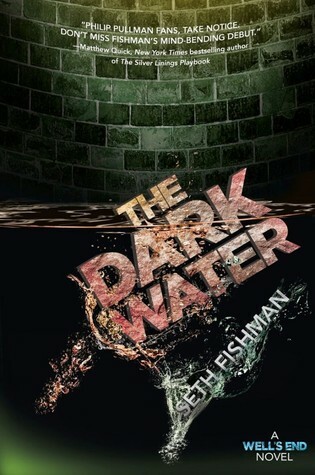 What she never anticipated was waking up in the body of Little Lizzie, all grown up—or that, in this alternative London, Elizabeth McDermott is mad. In this London, Tony and Rima are “rats,” teens who gather the dead to be used for fuel. Their friend, Bode, is an attendant at Bedlam, where Elizabeth has been committed after being rescued by Arthur Conan Doyle, a drug-addicted constable. Tormented by the voices of all the many characters based on her, all Elizabeth wants is to get rid of the pieces under her skin once and for all. While professing to treat Elizabeth, her physician, Dr. Kramer, has actually drugged her to allow Emma—who’s blinked to this London before—to emerge as the dominant personality…because Kramer has plans. Elizabeth is the key to finding and accessing the Dickens Mirror. But Elizabeth is dying, and if Emma can’t find a way out, everyone as they exist in this London, as well as the twelve-year-old version of herself and the shadows—what remains of Eric, Casey, and Rima that she pulled with her from the Dark Passages—will die with her. 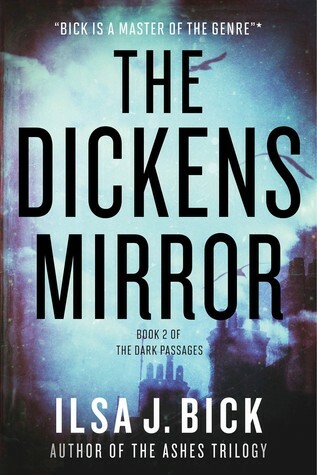 Author Question: What is your favorite thing about The Dickens Mirror? But you get what I’m driving at. People like routines; they like sameness. As a therapist, I can tell you that the hardest thing to effect is change. Change makes people anxious. Even if they say they’re miserable, people will fight you, tooth and nail, before they change their behavior. Believe it or not, a lot of people would rather avoid having to change, even if change is in their best interests. So, avoiding change . . . I understand that. There is comfort in sameness even if sameness isn’t good for you. The thing is: sameness is also boring. There’s no challenge to it. If nothing ever changes—if the book you pick up is formulaic, has no surprises, no twists, and nothing out of the ordinary. . . okay, that’s like comfort food. That’s like macaroni and cheese for the brain. It’s fun . . . but it’s not particularly memorable. Well, heck, if I’m going to spend all this time laboring over a book . . . you better remember it. For me, doing what I’ve already done is death. My personal feeling is that, as a writer, you always have to try something you’ve never attempted. To do otherwise is an insult to your audience. Sure, okay, we all like macaroni and cheese. But if I had to make that for the husband ever day of my life . . . I’d probably kill him. In the end, he’d probably kill me just for variety’s sake. So, in terms of THE DICKENS MIRROR, my favorite thing about the book is that I tried something I’d never done before. I know that the concept behind WHITE SPACE has never been done, period. The biggest challenge in DICKENS MIRROR was doing something completely different that you, the reader, hadn’t seen in the first book. That took enormous effort, too, because I had to delve into the world of historical fiction—a genre I’ve never tried and for which I have immense respect—and see if I could pull it off. 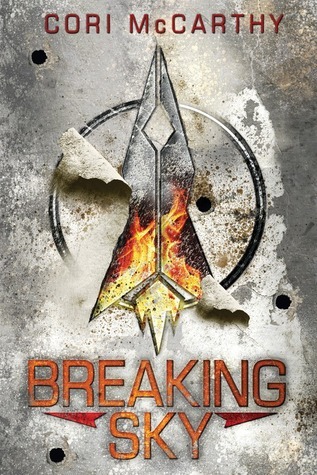 Author Question: What is your favorite thing about Breaking Sky? 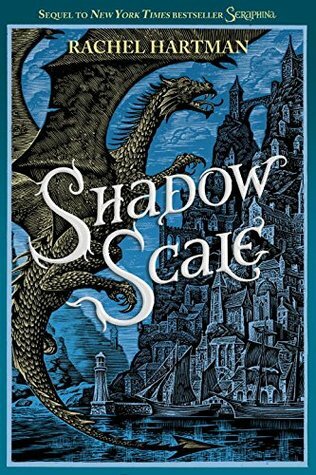 Author Question: What is your favorite thing about Shadow Scale? Subject to change, of course, but right now my favourite thing is the villain, Jannoula. It was a challenge to create someone who deeply frightened me, on the one hand, and yet was almost sympathetic on the other. Villains who are evil for the sake of being evil don’t move me, particularly; I’d much rather see someone who’s doing evil but convinced she’s doing good, or who wants all the things I want but for horrifying reasons. Those kinds of villains are a lot of work, it turns out! Alys’s whole world was comprised of the history project that was due, her upcoming violin audition, being held tightly in the arms of her boyfriend, Ben, and laughing with her best friend, Delilah. At least it was—until she found herself on the wrong end of a shotgun in the school library. Her suburban high school had become one of those places you hear about on the news—a place where some disaffected youth decided to end it all and take as many of his teachers and classmates with him as he could. Except, in this story, that youth was Alys’s own brother, Luke. He killed fifteen others and himself, but spared her—though she’ll never know why. Alys’s downward spiral begins instantly, and there seems to be no bottom. 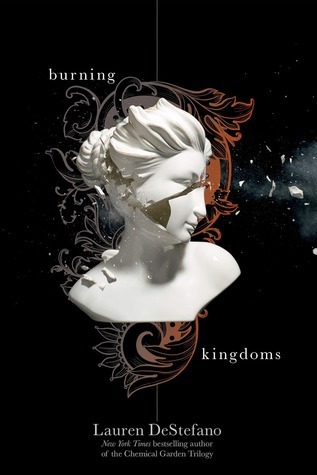 A heartbreaking and beautifully told story. 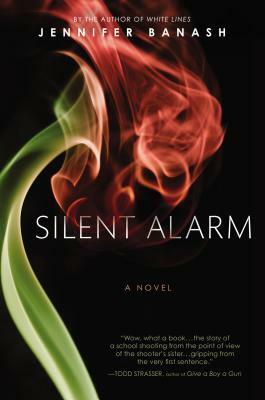 Author Question: What is your favorite thing about Silent Alarm? It seems strange to pick a favorite thing about a book that's largely about the aftermath of a school shooting, but if I had to pick, I'd say that my favorite thing about Silent Alarm is that it takes an unflinching look at the mess that is often left behind in the wake of tragic events. And hopefully, it leaves the reader with a little light creeping in out of the darkness, and some kind of a sense of hope. 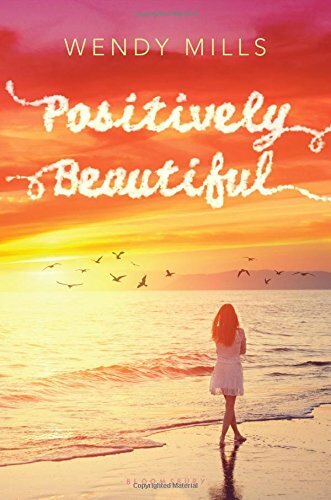 Life threatening cancer brings two teens together in this funny, honest, and heartwrenching novel in the tradition of The Fault in Our Stars. Francis is determined to forge his own way in school and life despite his loony, awkward, broken family...and noticeable lack of friends. Then he is diagnosed with leukemia. It wasn’t part of his strategy, but there are moments when he can see the upside. After all, people are nice to you when you’re sick. While in the hospital, Francis meets Amber. She’s outspoken and sarcastic, and Francis falls for her almost immediately. Hard. Together, they take on the other cancer ward patients, overbearing mothers, and treatments with lively wit. 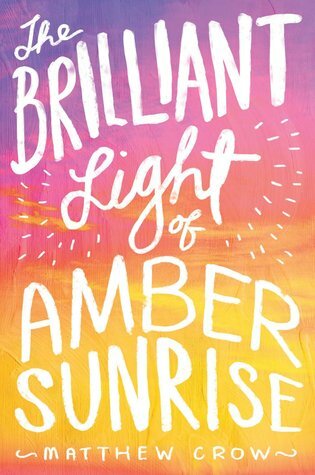 Author Question: What is your favorite thing about The Brilliant Light of Amber Sunrise? As its author, my favourite thing is that I wrote almost exactly the book I had in mind, which virtually never happens. Writing is a long process. So by the time you’ve finished the first draft it is often an obscure, warped version of the story you’d imagined. The whole thing can feel a bit like playing Chinese Whispers with yourself. With The Brilliant Light’ I felt so certain of Francis’s voice that everything just seemed so easy. It was a joy to write and I’m proud of it. 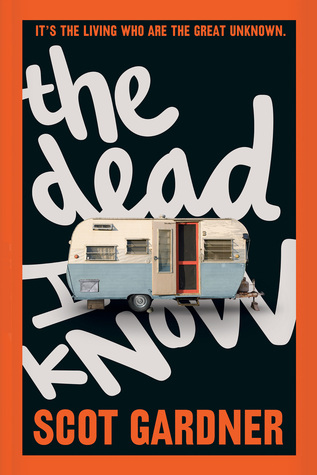 Deep, understated, and wise, this engaging YA novel, winner of the Governor General’s Award in Canada, is about more than the tough issue of teens dealing with obsessive-compulsive order. It also has romance, and a whodunit element that will keep readers guessing. 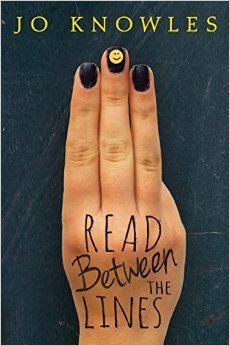 Perfect for readers who love Eleanor & Park! Adam Spencer Ross is almost fifteen, and he’s got his hands full confronting the problems that come with having divorced parents and new stepsiblings. Add to that his obsessive-compulsive disorder and it’s just about impossible for him to imagine ever falling in love. Adam’s life changes, however, the instant he meets Robyn Plummer: he is hopelessly, desperately drawn to her. But is it possible to have a normal relationship when your life is anything but? Filled with moments of deep emotion and unexpected humor, The Unlikely Hero of Room 13B explores the complexities of living with OCD and offers the prospect of hope, happiness, and healing. 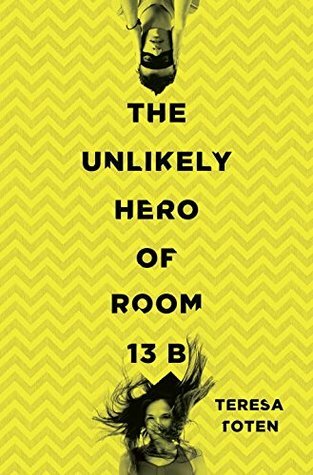 Author Question: What is your favorite thing about The Unlikely Hero of Room 13B? I loved, loved, loved writing about a boy! Adam is my first male protagonist. Of course, it was helpful that I fell in love with him on the first page. Don’t get me wrong—it was also absolutely nerve-wracking. I so wanted to get my boy stuff right. I drove all the guys around me crazy with a million questions including some pretty personal and detailed ones. I will be forever grateful to the young men and (some older ones) who really set me straight on what a guy notices, how he reacts to um, stimuli, how he moves through the world and how overwhelming a first love is. Girls, I swear, we don’t know the half of it! Thanks to a bully in gym class, unpopular Nate suffers a broken finger—the middle one, splinted to flip off the world. It won’t be the last time a middle finger is raised on this day. Dreamer Claire envisions herself sitting in an artsy café, filling a journal, but fate has other plans. One cheerleader dates a closeted basketball star; another questions just how, as a "big girl," she fits in. A group of boys scam drivers for beer money without remorse—or so it seems. Over the course of a single day, these voices and others speak loud and clear about the complex dance that is life in a small town. They resonate in a gritty and unflinching portrayal of a day like any other, with ordinary traumas, heartbreak, and revenge. But on any given day, the line where presentation and perception meet is a tenuous one, so hard to discern. Unless, of course, one looks a little closer—and reads between the lines. Author Question: What is your favorite thing about Read Between the Lines? That everyone has a story. That no one is who they seem on the surface. That we all have hearts and souls and we all need love. I hope they pause before making assumptions about a person based on how they're dressed, or what sport they play, or whatever. I want people to see that stereotypes aren't real. That we're all just people, complicated and messy and sometimes ugly and sometimes beautiful. We all hurt, sometimes openly and sometimes secretly. We all need kindness and we all need love. And we need to give these things as much as we need to get them. In a tale steeped in action, romance, and the gaslit intrigue of Victorian London, Mary Quinn’s detective skills are pitted against a cunning and desperate opponent. Author Question: What is your favorite thing about Rivals in the City? This is a tough question for me, and not in the ooh-do-I-have-to-choose-just-one? kind of way. I seldom feel like a proud mother to my books; I’m more like their weird aunt. I think it’s terrific – and even miraculous - that the novels exist; that Candlewick Press, of all houses, is happy to publish them. But at the same time, I’m intensely aware of the hollows and shadows in each novel. Often, pub week is a time for me to ponder the eternal gap between the novel I wanted to write and the one I ended up writing. This is not false modesty or a clumsy effort to seek flattery. I think RIVALS IN THE CITY is strong novel. My heroine, Mary Quinn, is complex and thoughtful, the plot keeps twisting, and the Victorian London I built is rich and textured. In fact, I think RIVALS is my best work yet. But I’m always haunted by a sense of future possibility: that while I did my best work at the time, I am still growing as a writer. That I learned a great deal from writing it. That next time, I will make different mistakes and, through those mistakes, become a better writer. So my favourite thing about RIVALS is not inside the novel itself; my favourite thing is that the novel exists, that I had the challenge and pleasure of writing it, and that it’s part of a body of work that’s still growing. Huh. Maybe I am a proud mother, after all. Author Question: What is your favorite thing about The Orphan Queen? The characters' identities. 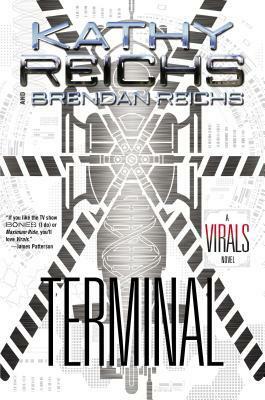 It'd be a spoiler to say too much, but I love the tangle of identities in this book. He knows her from this thing going on, and she knows him from this other thing that happened. I love the idea that these characters know just pieces of one another, and part of the journey is finding -- and accepting -- the truth. Two lives. One explosive moment. And a secret that could end it all... A riveting, romantic thriller from the author of Girl, Missing. Charlie’s life is torn apart by a terrorist bomb in a London market. Months later, she meets Nat, whose family was devastated by the same explosion. But as Charlie gets closer to Nat she uncovers secrets and a whole cast of shady characters that lead her to believe Nat knows more about the attack than he is letting on. 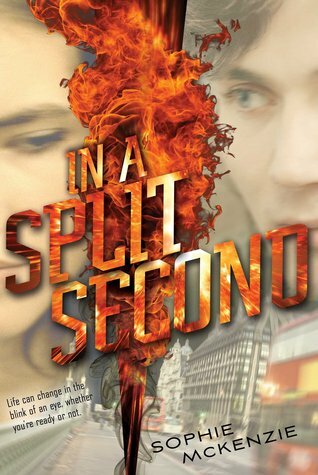 In a Split Second is a breathtaking thriller that shifts between the perspectives of its two main characters as their courage and their loyalties are tested to the limit. What do you do if you're in trouble? 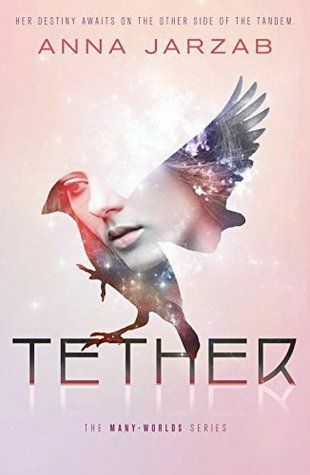 Tether, the sequel to Tandem, continues the captivating tale of rebellion and romance that spans parallel worlds. Skillfully blending multiple story strands that transcend time and place, award-winning Grasshopper Jungle author Andrew Smith chronicles the story of Ariel, a refugee who is the sole survivor of an attack on his small village. Now living with an adoptive family in Sunday, West Virginia, Ariel's story is juxtaposed against those of a schizophrenic bomber and the diaries of a failed arctic expedition from the late nineteenth century . . . and a depressed, bionic reincarnated crow. Dara and Nick used to be inseparable, but that was before the accident that left Dara's beautiful face scarred and the two sisters totally estranged. When Dara vanishes on her birthday, Nick thinks Dara is just playing around. But another girl, nine-year-old Madeline Snow, has vanished, too, and Nick becomes increasingly convinced that the two disappearances are linked. Now Nick has to find her sister, before it's too late. Everybody Knows Your Name sounds awesome! So many great titles. Thanks for the giveaway! Wow, so many great books coming out this month!! Love the chance for this giveaway. What a week of books! This is such a great collection of books for this week! EVERYBODY KNOWS YOUR NAME is one of my most anticipated reads of the year. Cannot wait for it. Seriously, TEN giveaways! Most of them are on my TBR already. Thanks for the chance to win. Wow. This is amazing. So many good books on this list. Thanks for the chance to win. Awesome selection! Thank you so much for the chance! 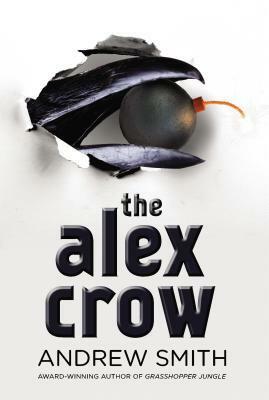 The Orphan Queen and The Alex Crow are the ones I am really looking forward to. I'll have to check out the rest of these! So many great books this week! I can't wait for The Orphan Queen. As always, thanks for hosting the giveaway! Wow. This is amazing. So many good books on this list. So many great books. Really want to read The Orphan Queen. So many exciting reads I've been watching are finally here! Thanks for the giveaway! 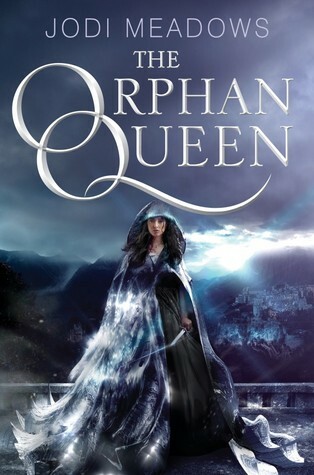 I really am looking forward to The Orphan Queen! Thanks for the giveaway! 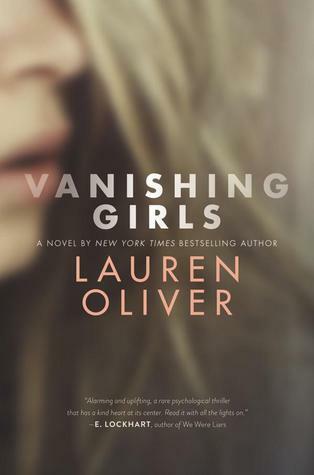 I would love to win Vanishing Girl. AH!!! So many great books came out this week! I've already devoured The Orphan Queen because I had an ARC and it was AMAZING!